0% Finance Spread the cost. Welcome to Devonshire House Dental Practice, Brentwood’s exclusively private dental surgery. Our reputation for superior dental care has been built up over the past 30 years. Our friendly team at 24a High Street, Brentwood provides cutting edge treatments in both Cosmetic Dentistry and General Dentistry. Utilising the latest technologies in teeth whitening (ZOOM), dental implants, porcelain veneers, CEREC restorations and INVISALIGN invisible braces, our team provides the best possible care for you and your family. 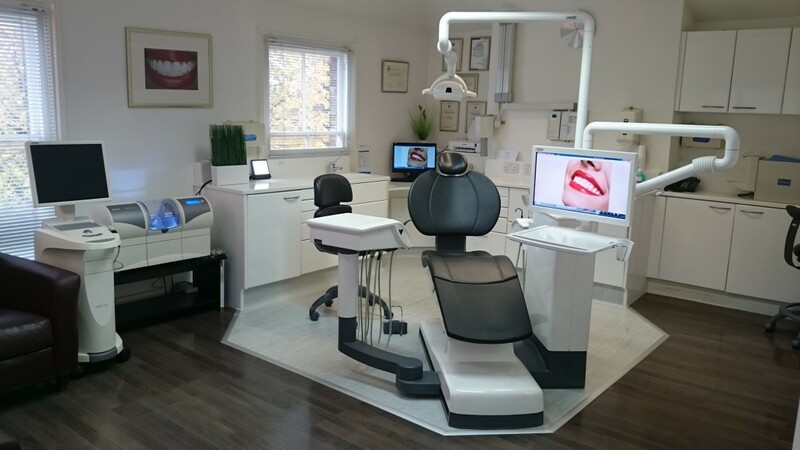 We are positioned in the prime location of Brentwood High Street and are proud to use state of the art modern facilities for our valued patients in comfortable, caring and friendly surroundings. We have an experienced team on site including cosmetic dentist, hygienist and aesthetician. A beautiful and confident smile makes all the difference to how you feel about yourself and how others feel about you. Our experienced dental team ensures our patients receive ultimate dental treatments, giving them a beautiful and attractive smile. Contact us for more information on how we can change the way you smile, forever. This is the only programme officially approved by the Patients Association in UK. Are your uneven, discoloured or broken teeth reducing your confidence? Do you feel you can do better both in personal and professional life with perfect set of whiter teeth? Have you ever wanted a Hollywood smile to boost your confidence? If yes, then a smile makeover by our cosmetic dentist may be exactly what you have been looking for. I had an irrational fear about dentists, stemmed from bad experiences as a young child, but having registered with Aria and been a patient with his practice for the past 12 years plus, he has made my apprehensions disappear. Absolute first class service!!! Forget Harley Street…..Essex has its own Harley Street practice at Devonshire house.I had many years with awful teeth due to an accident in my teens.I literally didn’t smile for 10 years and was super shy. The whole practise is welcoming and very friendly. And the lovely assistant was very friendly and sweet. Thank you Dr Malek-Mohammadi – I will be back! You were brilliant and I’m extremely grateful!! Aria is very good and within the dental world he has a good reputation. Before I commenced treatment with him I did check him out… result… I had no concerns in going to him. He is gentle and gives out an air of confidence combined with skill. Great guy.